We're celebrating this amazing time of year with our Summer Sale! 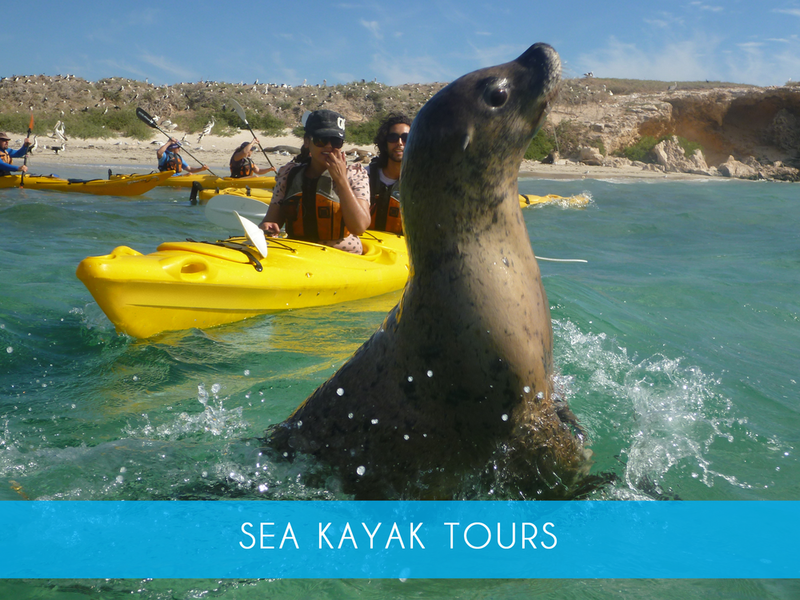 Dolphin, Penguin and Sea Lion Adventure Cruise! Come make the most of this spectacular time of year and have a Wild Encounter like no other! Scroll down to book now. For more information see the FAQ’s below, see Visitor Info or Contact Us. Is this cruise suitable for me? Not recommended for children under 3 years of age. Our Penguin & Sea Lion Cruise is a better option for families with infants and toddlers. We call it an adventure cruise because at times, we may cruise in open waters outside of Shoalwater Bay that may be subject to seas and swell depending on weather conditions. Passengers with back injuries, a history of back injuries, who are frail, pregnant or concerned about sea sickness are required to sit in the rear half of the vessel which is less subject to vertical movement. Please be assured our cruise is adventurous, but not a thrill ride. Passenger safety and comfort is our primary concern. Our vessel is licensed and surveyed annually by the WA Department of Transport. It carries all the life rafts, life jackets and other essential safety equipment required for a vessel of its class. Our crew is also trained to assess passengers comfort and safety and to take action to ensure your tour is exciting but comfortable. Dress warmly for the boat as you are exposed to the elements and the wind can be cold, even in summer. A warm weather proof jacket is essential. Gloves, scarves & beanies for the colder days are a good idea. For Penguin Island bring hats, sunscreen and a long sleeve or UV resistant shirt for sun protection. Bring swimmers and towels if you are planning any water activities. Comfortable shoes, thongs or sandals are appropriate footwear. There are no shops or cafes on Penguin Island. You’re welcome to bring your own food and drinks or purchase before you go from Pengos Cafe on the mainland. There is an excellent shaded picnic area and you’re welcome to bring eskies and picnic baskets. There are no BBQ facilities and open flame or gas BBQ’s are prohibited on the island. Surfboards, fishing gear, prams, wheelchairs, snorkelling and dive gear are welcome but will be stored on the ferry during your cruise due to limited space on the adventure boat and will be waiting for you on the jetty at Penguin Island. Allow at least 30 minutes prior to departure time to check in at our gift shop. Passengers will need to show their booking confirmation or travel agent voucher and sign a waiver of liability prior to boarding. Cruises are subject to weather. When you book your cruise it is important that you leave us with a contact number for where you are staying in Perth (preferably a mobile that you will be carrying on the day of your tour). If we cancel due to weather, we will contact you to see if you can reschedule for another date. There is no charge if we have to cancel due to weather. Purchase some Travel Calm tablets at check in. Select a seat in the rear half of the boat where there is less movement. Keep your body temperature on the cooler side. If you wear glasses keep the lenses clean at all times. Avoid looking through cameras or binoculars. Stay away from acidic foods before the cruise such as orange juice and coffee. Avoid going into the toilet to be sick. Confined spaces will only make you feel worse. If you start to feel sick, let our crew know so we can assist. Although we have over 25 years’ experience with working with the local wildlife, they don’t always follow the script! Our commitment is to provide the best possible wildlife experiences, according to the conditions and viewing opportunities on the day without compromising the safety of our passengers or the wildlife. In the unlikely event that we don’t see any dolphins during your Adventure Cruise, you’re welcome to come again free of charge! Please understand that if you’re unable to join us again this does not make you eligible for a refund and you cannot pass your seats on to another person. Visitors should also be aware that the sea lions we visit are seasonal. Every 17.5 months they swim north to breed at islands approx. 600kms north of Perth, returning approx. 5 months later. Only the really old or immature male sea lions stay behind in Shoalwater, so during breeding times there may be cruises where we won’t view any, or perhaps only see a couple of sea lions. Please understand that if we’re unable to sight any sea lions during your Adventure Cruise this does not make you eligible for a refund or to come again free of charge. Although Penguin Island is home to WA’s largest breeding colony of little penguins they are naturally shy, secretive birds that spend most of the day at sea hunting or tucked away in their burrows. Penguin viewing is conducted at the Discovery Centre to ensure that the wild population are not disturbed or pressured by visitors. Can we touch the dolphins & how close will they come? They come incredibly close. They often enjoy ‘surfing the bow’ of the boat where they sit in the pressure wave created by the movement of the boats hull through the water. To ensure that we do not harm the dolphins in anyway by transmitting skin diseases or damaging their protective skin layer we adhere to a strict ‘no touch policy’. Can we feed the dolphins? Definitely not! It’s terrible for their health and would ruin the unique friendship we have with them which is based on a mutual curiosity and enjoyment of one another’s company, rather than food. Feeding wild dolphins (and most other species of wild animals) results in an increased mortality rate and decrease in reproductive success.